Real Madrid host Manchester City in the second leg of the Champions League semi-final at the Santiago Bernabeu on Wednesday night. Find below our REAL MADRID v MANCHESTER CITY betting preview with expert predictions, betting tips, best odds, probable lineups, bookie free bets and no deposit bonuses on the 2nd leg tie! A 1-0 win over Real Sociedad kept Real Madrid just one point off Barcelona and Atletico Madrid in the thrilling La Liga title race at the weekend. The Blancos have only failed to win 2 of their last 20 home matches in the Champions League and they haven't conceded at home in a Champions League match in nearly a year. They are yet to concede a single goal in front of their own fans in this year's competition, winning all five of their outings at the Bernabeu and scoring 18 times in the process. Cristiano Ronaldo is likely to start for the hosts after recovering from a hamstring muscle tear. Gareth Bale, who scored the winner at the weekend, will also start, but there is a doubt over Karim Benzema after he limped off in the first leg. That could see Jese, Lucas Vazquez or Borja Mayoral lead the line. Casemiro will also need a late fitness test. He has missed training the last two days and is a huge doubt. Manchester City were beaten 4-2 by Southampton at the weekend, thanks largely to a hat-trick from Sadio Mane. That defeat ended the Citizens' eight-match unbeaten streak. The Citizens have given themselves a big hill to climb in their quest to reach the Champions League final, having played out a goalless draw when they hosted Real Madrid in the first leg of the semi-finals. Anyway, they have won three of their five away games in this season’s competition and are unbeaten in their last six Champions League matches - their longest ever run. Yaya Toure has returned to training after he missed the first-leg through injury and he could deputise in the absence of the injured David Silva. The likes of Samir Nasri (ineligible) and Pablo Zabaleta are both unavailable. Raheem Sterling and Kelechi Iheanacho are further options up-front but they are expected to play at some stage only in case the Citizens are down in the scoreline. 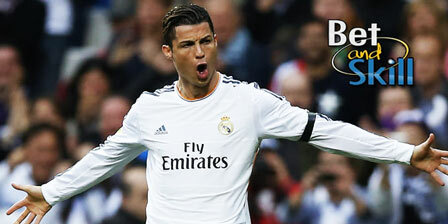 Price Boost - 6/1 Real Madrid to qualify + £5 free bet! Crazy price - 12/1 Cristiano Ronaldo to score anytime + £5 free! Enhanced odds - 18/1 Manchester City to win! Crazy boost! 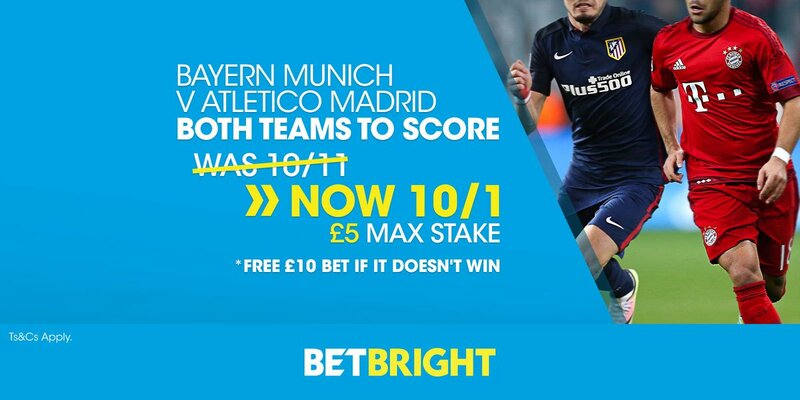 10/1 Real Madrid to win at Betbright + £10 free bet! Enhanced price - 5/1 Ronaldo to score a goal! "Real Madrid v Man City predictions, betting tips, lineups and free bets (Champions League - 2nd leg - 4.5.2016)"